Once a year, REALTOR® Magazine features a diverse list of 30 young people making waves in the real estate industry. 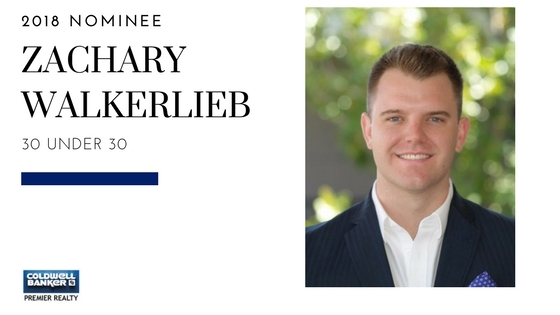 This year’s list features five Coldwell Banker real estate agents, including Coldwell Banker Premier Realty’s own rising star, Zachary Walkerlieb. We think Zach’s hard work and dedication to the Las Vegas real estate industry and his unparalleled customer service are just some of the qualities that have resulted in being among the 50 2017 nominees. If you would like to show your support to one of Las Vegas’ up and coming leaders you can do so by voting on REALTOR® Magazine, HERE!! Voting opens on Friday, March 16th and will be open for one week, ending March 23rd, at 12 PM CDT. To see what Zachary’s past clients have to say about him, you can do so on Zacharywalkerlieb.com. Congratulations, and good luck Zach!